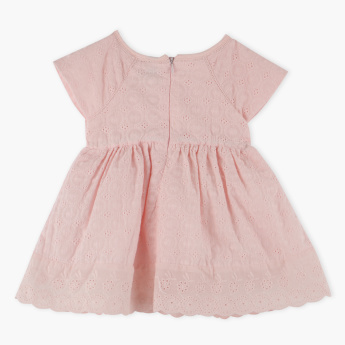 Give your little daughter an adorable look with this beautifully designed dress. The intricate embroidery all over the dress lends to its visual appeal. 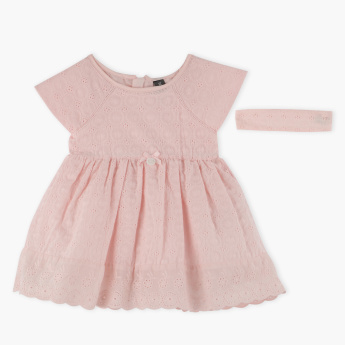 The round neck and zip closure ensures easy and fuss-free dressing.